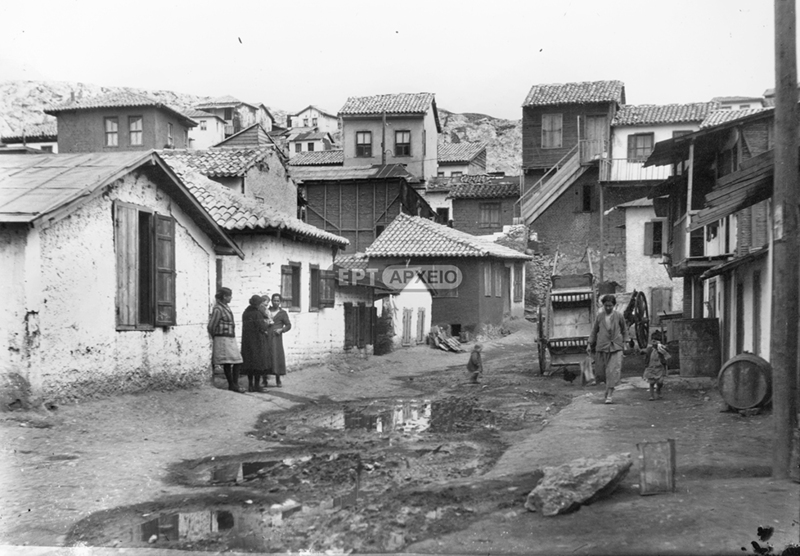 In the area close to the radio transmitter of the Greek Navy War School and on the rocks of the old quarry on the Hill of the Muses (Philopappos) settle 800 immigrant families from Asia Minor who use meagre means, such as sheets of steel and planks, to secure provisional shelter, and live under appalling conditions. In 1923, the Ministry of Agriculture hands over to the National Council of Greek Women the all-green grounds that today are known as Konistra, intended to be used by children of the refugee district. The area assumes the name “Attaliotika” or “Asyrmatos”. In 1961, the quarter is used as the natural setting for the shooting of the Greek film A Neighbourhood Named the Dream (Synoikia to oneiro), one of the most important films of Greek cinematography, directed by Alekos Alexandrakis. The film wreaks havoc and is screened amidst reactions on account of its realistic images showing the conditions of poverty and misery that existed in Athens. Finally and after protests by the Press, only its censored version is allowed for screening in cinema theatres of the urban centres exclusively. Vougiouka and Megaridis 2009, 63–72. View from the refugee settlement of “Asyrmatos”, behind the church of Agion Asomaton. Petralona, 1920–1929.